Kansas City, KS (Wednesday, September 27, 2017) – Gardner Capital, MC Power Companies, and Kansas City Board of Public Utilities (BPU) held a dedication ceremony on Tuesday, September 26, 2017 for the newly completed Community Solar Farm. The project will provide clean, reliable electricity for nearly 150 homes in the BPU grid. “We would like to express our gratitude to our partners at MC Power Companies and BPU for their help in completing the Community Solar Farm. These vital partnerships enable us to continue creating efficient, responsible solar energy projects,” said Michael Gardner, President. The solar farm contains nearly 4,000 photovoltaic solar panels, totaling 1.27MWac generation capacity, and is located next to BPU’s main power plant south of the Missouri River, between I-435 & I-635. 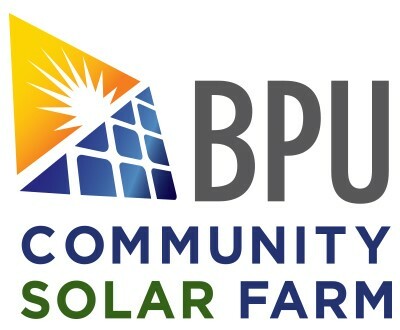 Residential customers in BPU’s grid will have the option to lease portions of the solar farm, saving each customer-lessee around $40 per year on their energy bill and reducing their carbon footprint. MC Power Companies, in partnership with Gardner Capital, will manage and operate the facility. The Community Solar Farm is the eighth solar project completed by Gardner Capital and MC Power Companies. The partnership has now installed over 25MW of solar capacity in Missouri and Kansas – enough to power over 3,800 average-sized homes. For more information on the Community Solar Farm, click here. Gardner Capital is a solar and housing development and investment company with primary regional offices in St. Louis, Dallas, San Francisco, Atlanta, and Springfield, Missouri. Gardner Capital has invested and syndicated more than $3 billion through various tax credit programs, including federal solar investment tax credits. Gardner’s Solar Division was founded in 2014, leveraging over 20 years of experience and tax credit expertise to sponsor, finance and partner with third-party developers and investors throughout the United States. Our team brings execution certainty, thorough due diligence and professionalism to all of our solar development opportunities. Visit www.gardnercapital.com for more information.